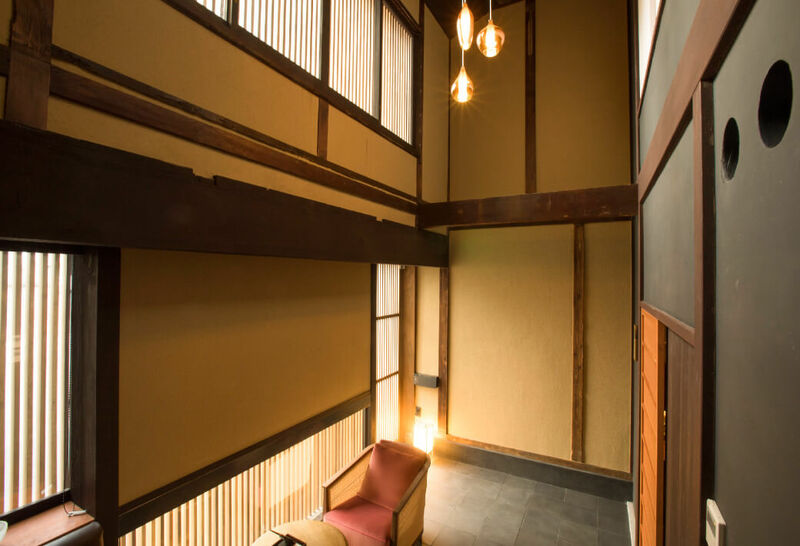 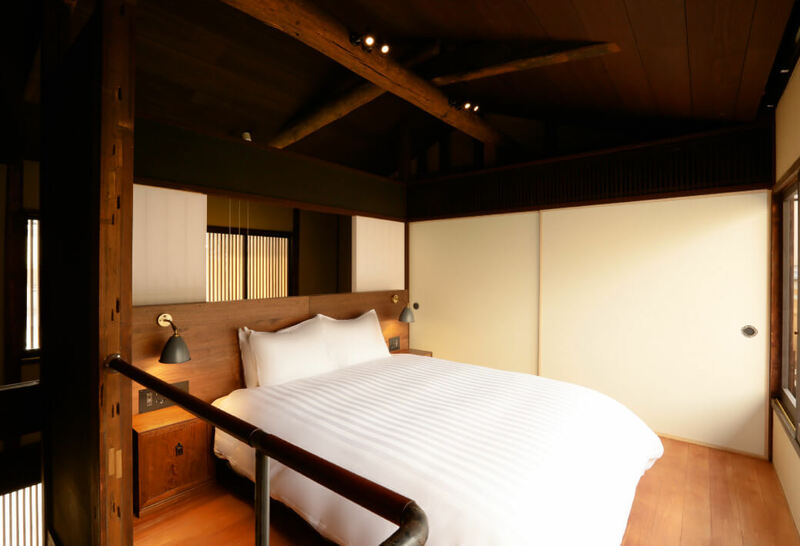 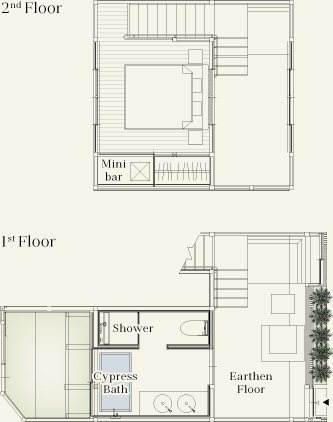 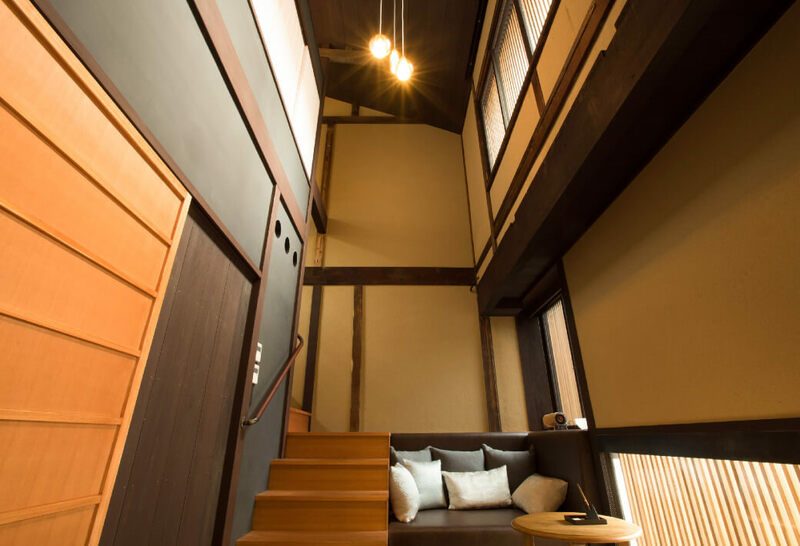 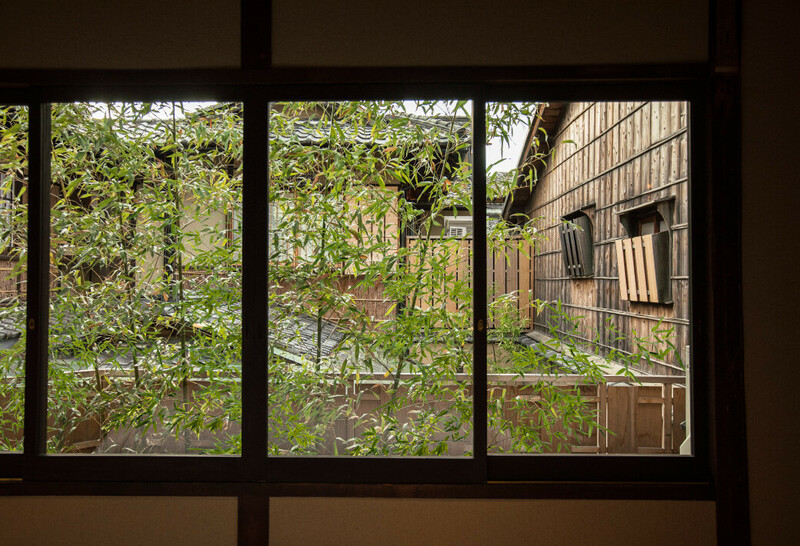 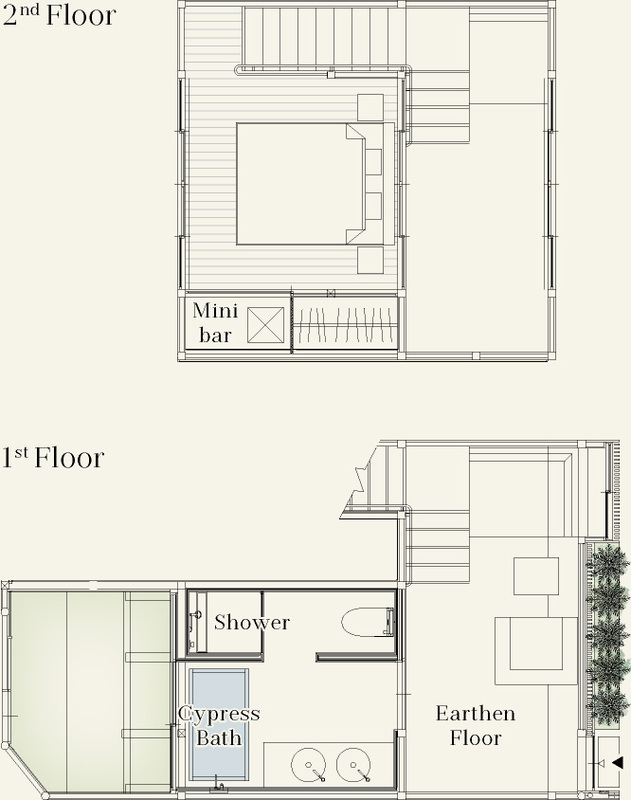 You will feel as if you actually live in this “machiya”-style detached room. 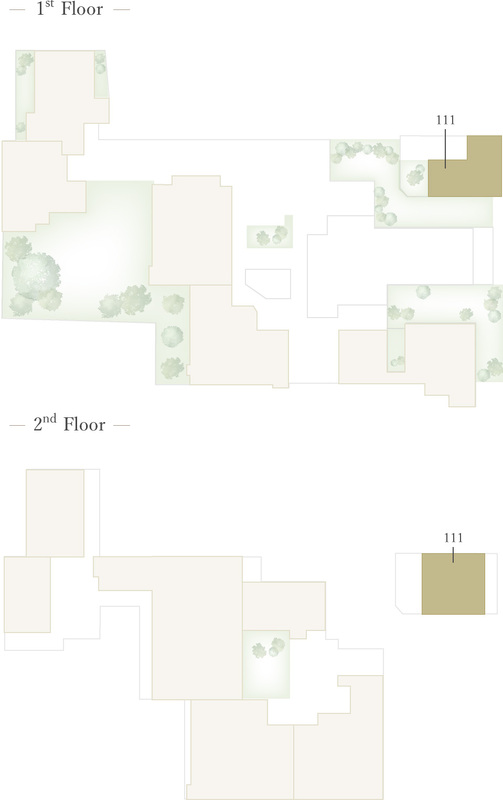 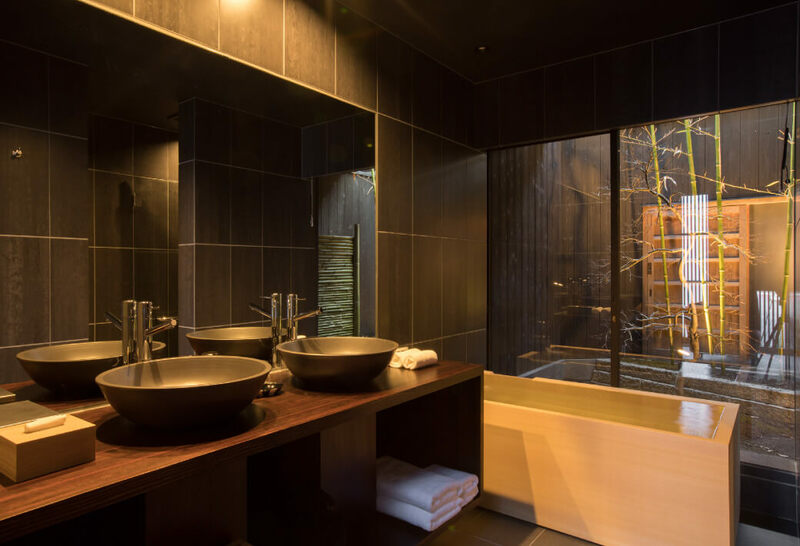 Above the tiled earthen floor is a high ceiling, and the bathroom is done up in a chic black tone, eloquently reflecting the greenery of the garden. 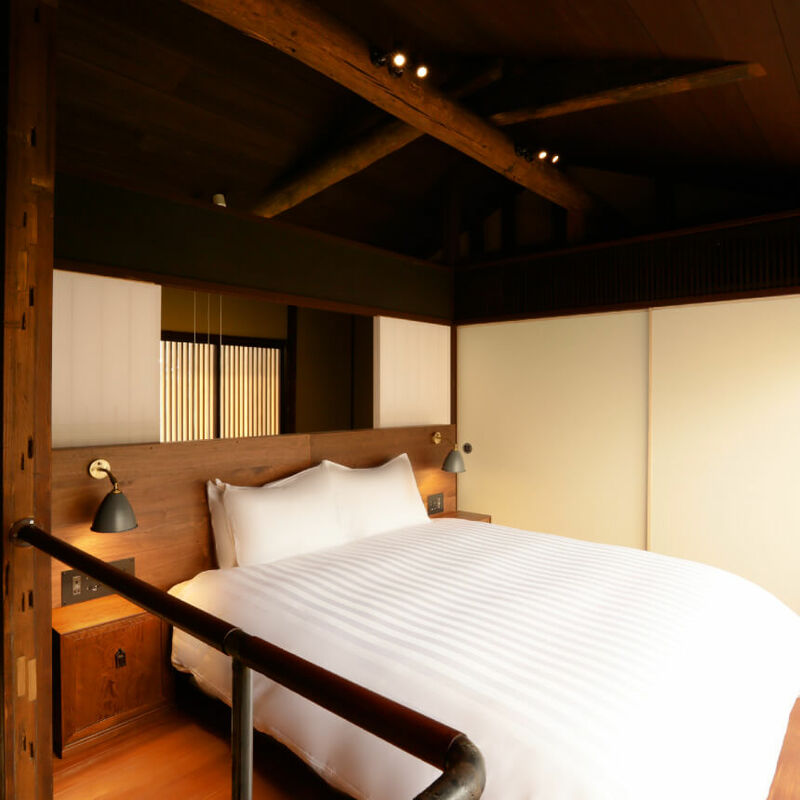 Upstairs are the minibar and bedroom, where you can completely relax.